Norton Protection System - provides four unique layers of powerful protection to proactively stop online threats before they can infect your computer. Insight - checks where files came from and how long they've been around to stop new online threats before they can cause you trouble. Parental controls management - lets you track your kids' online activities through award-winning Norton Online Family so you can help protect them from online dangers. Browser protection - protects you by checking for and blocking online threats as your browser loads, to stop online threats before they can do damage. SONAR 4 Behavioral Protection - monitors your computer for suspicious behavior to quickly and accurately detect and stop new threats. Norton Safe Web for Facebook - scans your News Feed for dangerous downloads and links to unsafe websites and warns you and your Facebook friends about them. Norton Identity Safe - secures, remembers and automatically enters your website user names and passwords to prevent cybercriminals from stealing your information as you type. 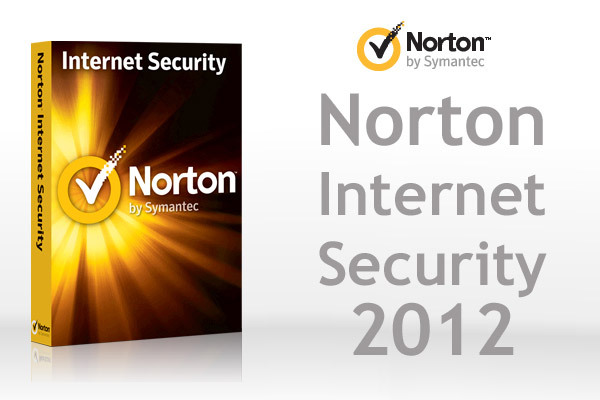 Now includes an online version so you can share logins among additional PCs protected by Norton Internet Security 2012. Antiphishing technology - blocks fraudulent websites cybercriminals use to steal your identity and your money. Bandwidth management - limits non-critical Norton updates when you connect to 3G networks to avoid using up your monthly data allotment or causing overage fees. Norton Pulse Updates - updates your protection every 5 to 15 minutes—without disrupting you—for up-to-the-minute protection against the latest threats. Email and instant message monitoring - scans email and IMs for suspicious links, attachments and other tricks cybercriminals use to steal your personal information. Smart two-way firewall - prevents cybercriminals from hacking into your PC and stealing your personal information-without constantly asking you to make the security decisions. Professional-strength spam blocking - keeps your mailbox free of unwanted, dangerous, and fraudulent emails. Network mapping and monitoring - shows all the devices connected to your home network, so you can spot uninvited guests using your wireless connection and/or eavesdropping on you. Norton Bootable Recovery Tool - creates an emergency CD/DVD/USB that gets your PC back up and running even if it's so infected that it won't start up. Silent mode - puts alerts and non-critical updates on hold when you're watching movies or playing games in full-screen mode on your PC. Norton Control Center - gives you easy access to program settings and Web-based Norton services from your choice of a standard detailed view or a new simplified view. Monthly report - tells you what Norton Internet Security has done in the previous month to keep you safe from threats. Editors' note: Portions of this review are based on CNET's review of Norton Internet Security 2011. 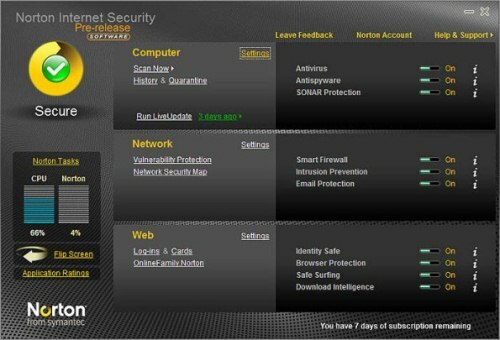 Over the past few years, Symantec has completed a course reversal for its Norton consumer Internet security suites. The massive package of security tools works better than it ever has before, with an impressive set of features, some useful new tools including remote management and download stability analysis, and third-party security efficacy benchmarks that are at the top of the heap. Meanwhile, CNET Labs' performance benchmarks indicate that though Norton doesn't leave the smallest footprint on your system, users should see a minimal impact overall.